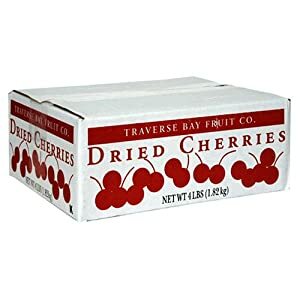 These dried cherries from the Traverse Bay Fruit Company are very popular and highly rated. They contains no preservatives or sulfites. Order at Amazon for $19.04 with Subscribe and Save option. You can cancel this option after your order arrives. Cherries, Sugar, Sunflower Oil (not A Significant Source of Fat).